When I started blogging I never knew of Alexa ranking. One of the problems I encountered during my days of mediocrity was the inability to rank high (or to be visible at all) for search queries. The first solution that came to my mind was that I should make a research on how to submit my site to Google search to the increase alexa ranking. After making some researchers, I discovered how to integrated my site with Search console of many search Engines. Despite this, things don’t seem to get better. I took a story changing steps by intensifying my findings. 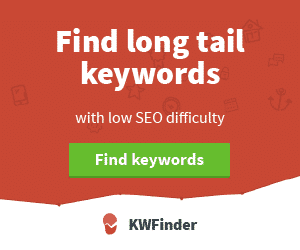 Lastly, I stumbled upon an SEO diagnosing tool, I found out that one needs to set a keyword, have a good Domain Authority and Page Authority to rank higher. This same SEO tool pointed out that my blog is suffering from Alexa Rank deficiency. I wondered what this means, and I searched Google again for the keyword “increase alexa ranking”. Was really dumbfounded to find out my site wasn’t ranked at all (over 25 million). I started working on my ranking by boosting my traffic and backlinks as advised by the same tool. Wow! 3 weeks later I was ranked 23 million plus on Alexa Metrics. I can see myself arriving. Every day, I make sure I build at least 10 backlinks and in the main time, I have over 500 backlinks. Sadly, my ranking didn’t change further but kept fluctuating every week. I felt really bad. My mind kept telling me different things like there is a hidden secret nobody is telling me about SEO and Alexa, I found these thoughts silly at first. Until recently, I discovered I was building the wrong backlinks. Now, I found the killer tips to increase alexa ranking. One pure fact is that nobody will tell you his secret to success. However, I will shed some lights on how to rank higher faster than you may think without leaving any stone on-turned. This may seem irrelevant but truly it is not. Before the recent introduction of the tracking code, Alexa can only rank a website traffic by a number of users that visited the website that has Alexa tracking plugin on their browser. However, now the story has changed, one can now integrate one’s Google Analytic account with Alexa or use the Alexa native traffic tracking code. To get Alexa tracking code, you may need to subscribe for their 14 days free trial (add link**https://www.alexa.com/plans**), during this time you won’t have to pay. Also, you may choose to cancel your subscription after. You will be given a code to add in between the <head> tag on all the pages on your website. This will enable Alexa to measure the amount of traffic you have. Therefore, giving you the opportunity to get your site traffic measured accurately and almost every day, even after the trial period. Naturally, link built on social media are very positive on SEO and Alexa Ranking. This gives bots the opportunity to be aware of your website. Moreover, social media like Facebook, Twitter, Quora, Instagram etc have high domain and page authority. Social media also act as a source of traffic which in turn improves your ranking, as traffic is an important criterion to get ranked. An ordeal I had had, backlinks from low-quality sites may harm ones Alexa rank or give no result at all. Having 20 links from high-quality domains is better than having 1000 from low-quality sites. According to an article, I read on an SEO blog long ago, 10 backlinks from 10 different domains will do a lot better than 100 links from 10 domains. A new site (less than 1-month-old) with a daily traffic of about 100 visitors is ok. However, one can still use some ethical traffic boosting skills to improve traffic which includes social media sharing, running advertisements, guest blogging, submitting one’s site to directories and many others. Telling people you’re the owner of a website may not help. In support of my argument, I will quote a popular saying which says “A prophet can’t seek respect among his brethren”. People tend to ignore your site when they know you own it. Many people don’t even like others progressing. Also, to avoid being blocked on social media limit a number of posts you share. Make sure you always use link shorter (but not all the time to create direct backlinks). As I always say, a new site shouldn’t expect much traffic from search engines. The major reason for this is that most high volume search queries have been occupied by sites with high authority. However, write articles with low search volume (that can later become high) at first to test your skills before you start competing with gurus. When I tripled the traffic on my new blog (I have created backlinks first) my rank increased from 25 million plus to 12.09 million just in 3 days. Using these logic’s can help you get higher Alexa rank using white hat tricks. I also believe these are expensive secrets nobody will want you to know about Alexa Ranking. Have a nice day! When I first started, I didn’t know anything about SEO and Alexa rankings as well as how important it is. Fortunately, I’ve found pieces of useful blogs just like yours as well as videos that helped me learn more. I’ve always struggled with Alexa rankings, but now, I have gotten a hang of it. Hopefully this post will help the beginners out there as well. Cheers! Am Glad, you find it useful.